Achieve unprecedented cost savings by impacting more spend and operating an efficient and effective process, with SynOps for Sourcing and Procurement. Imagine a future where procurement is not defined by a rigorous process but by rich data to help businesses realize their potential. A truly digital procurement organization automates repeatable tasks to boost efficiency and decrease costs. It equips stakeholders across the business with real-time access to insights and analytics through artificial intelligence (AI) and easy-to-use online tools. It deploys new and smarter ways to infuse data models in the process to enrich day-to-day operations and decision making. And it transforms how buyers interact with suppliers and other third parties by serving as a platform for new levels and types of collaboration. With access to more and better data and the associated analytics that are a key feature of digital procurement, stakeholders and procurement are provided with data rich insights which result in better decisions and drive more value for every dollar spent. We work with clients to design intelligent, digital source-to-pay solutions powered by our SynOps engine. Clients achieve outcomes through an orchestration of human + machine talent, coupled with the infusion of insights & intelligence from data. Rapidly reshaping procurement end-to-end and jump-starting transformation. Greater impact in selecting processes, spending categories or regions—while building on current investments. Accelerating initiatives, driving efficiency and reducing operating budgets for clients who already have a strong internal procurement organization. See the big picture by transforming data captured throughout the source-to-pay process into actionable insights. Configure and maintain supplier and catalog content to facilitate touchless processing rates of up to 80 percent. Capture negotiated savings much faster by shortening the contracting process. Equip teams with digital accelerators to increase impact across indirect and direct spend; creating visibility across plan to consumption supply chain. Unlock value within the complex energy ecosystem across power building, transport, waste and water. Balance risk and value creation opportunities for innovation and growth. 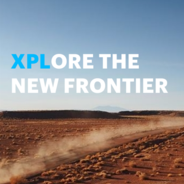 XPL is the new operational mindset required by companies to make the transformational change to an asset-light logistics model. 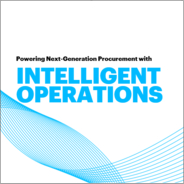 Empower procurement with information and experiences that matter. 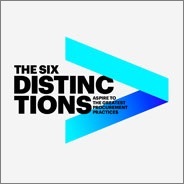 Six distinctions that help you increase the impact of procurement and give you the inspiration to deliver exceptional outcomes. Procurement feels the pressure to keep up with the pace of change. An exploration of the landscape reveals why buying is the best bet. Getting lasting outcomes means looking past the latest digital gizmo and focusing on the fundamentals of the digital procurement journey. Accenture is recognized as the leading Sourcing & Procurement company by Everest Group, HfS Research, and IDC; and received multiple SAP Ariba awards, including the Pinnacle award. Manage and streamline your supply chain with an agile global network. Unlock value within the complex energy ecosystem across power, buildings, transport, waste and water.